This Emmy and Golden Globe winner — now known for her TV roles on American Horror Story and American Crime Story — played deceitful tutor Alice Isringhausen across nine episodes of the HBO show. Bell, star of Veronica Mars and The Good Place, played a teenage con artist in two episodes… before her character met a bloody fate, that is. Later known for her weighty roles on House of Cards and Fear the Walking Dead, Dickens starred on Deadwood as brothel madam Joanie Stubbs. 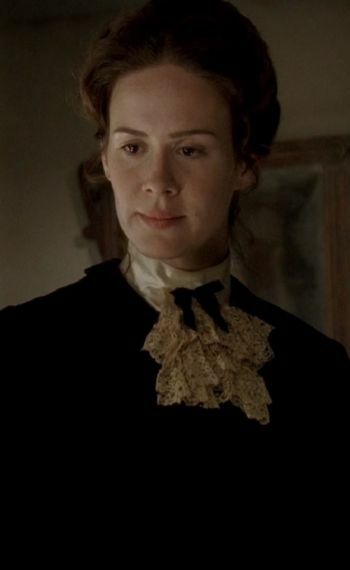 Before earning back-to-back Emmys for her work on Breaking Bad, Gunn joined Deadwood in Season 2 as Martha Bullock, wife of Olyphant's Seth Bullock. This Mindy Project and Raising Hope actor actually played two characters on the HBO show: murderous drunkard Jack McCall in Season 1 and murderous geologist Francis Wolcott in Season 2. This future Bosch star, who's also known for his roles on Lost and The Good Wife, played "bagman from Yankton" Silas Adams, an ally of McShane's Al Swearengen. Prior to his starring roles in One Tree Hill and The Walking Dead, Nichols played Morgan Earp, the real-life younger brother of famed lawman Wyatt Earp (played on Deadwood by Gale Howard). Supernatural fans are well acquainted with Beaver, who starred on Deadwood as talented prospector Whitney Ellsworth. Hawkes, who played real-life merchant Sol Star on Deadwood, later earned an Oscar nomination for his performance in Winter's Bone and a Golden Globe nod for his turn in The Sessions. As we hit the 15th anniversary of Deadwood's premiere on March 21 — and as we look forward to the upcoming movie continuation — there's no better time to look back on the Emmy-winning HBO show's legacy. You likely know the historical western starred Timothy Olyphant and Ian McShane as two real-life residents of the South Dakota town, but the ensemble cast also boasted several other actors who have since become well-known TV stars. Here are details on their Deadwood roles and their other notable TV gigs.